Masterplans for greenfield sites require particular sensitivity to the existing landscape and ecology and, where they also occur in an area formally designated as green belt, a recognition that exceptional circumstances will need to be demonstrated if development is to be permitted. Where the intention is to have the site removed from the green belt to allow future development to occur, then a strategic review of the planning justification of such an argument is often required at the early stages of the masterplanning process. Working closely with either our in-house team of planners or a client’s external planning consultants, our urbanism team can test and assess competing sites as well as ascertain both the development potential of a site and the benefits to local communities in terms of the introduction of new and expanded services as well as new homes, employment development and infrastructure. 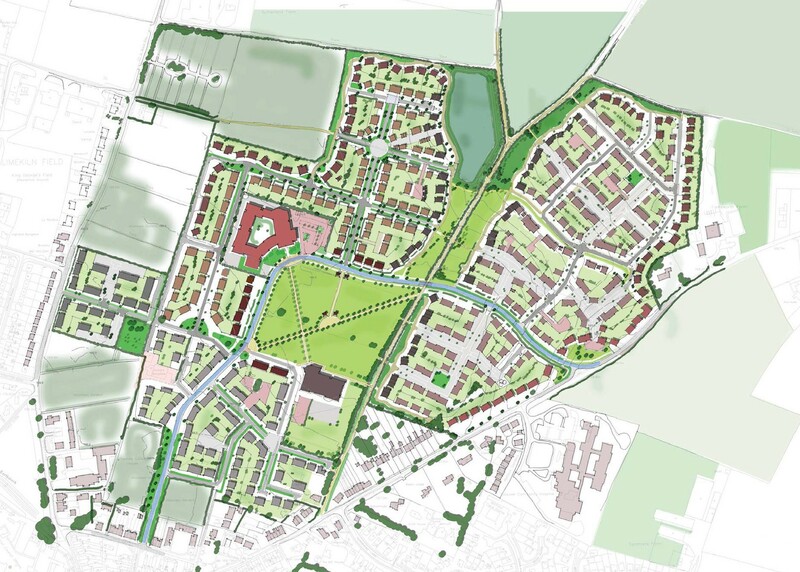 Where suitable previously developed sites are not available or deliverable, our urbanism team have prepared robust masterplans for a wide range of both green field and green belt sites to meet local housing and employment needs.